In this section is a practice examination paper, similar to the Cambridge International AS Level Biology paper 2. 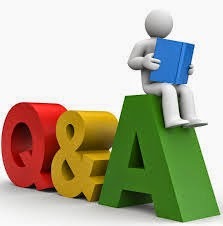 All of the questions are based on the topic areas described in the previous sections. Youhave 1 hour and 15minutes to do the paper. There are 60 marks on the paper, so you can spend just over one minute per mark. If you find you are spending too long on one question, then move on to another that you can answer more quickly. If you have time at the end, then come back to the difficult one. Some of the questions require you to recall information that you have learned. Be guided by the number of marks awarded to suggest how much detail you should give in your answer. The more marks there are, the more information you need to give. Some of the questions require you to use your knowledge and understanding in new situations. Don't be surprised to find something completely new in a question - something you have not seen before. Just think carefully about it, and find something that you do know that will help you to answer it. certainly haven't focused your answer tightly enough. Look carefully at exactiy what each question wants you to do. For example, if it asks you to 'Explain', then you need to say how or why something happens, not just describe what happens. Many students lose large numbers of marks by not reading the question carefully. Following each question in the practice paper overleaf, there is an answer that might get a C or D grade, followed by an examiner's comments. Then there is an answer that might get an A or B grade, again followed by an examiner's comments. You might like to try answering the questions yourself first, before looking at these. Notice that there are sometimes more ticks on the students' answers than the number of marks awarded. This could be because you need two correct responses for one mark (e.g.QI (a) (I))or because there are more potential mark points than the total number of marks available (e.g. QI (a) (U)). Even if you get four or five ticks for a three-mark question, you can't get more than the maximum three marks.